We had a 7 hour layover in Frankfurt. While I haven’t heard many (or any) redeeming things about the City – I often hear it is the “Dallas of Germany”, we figured we’d at least give it a try. There is a train that takes you from the airport to downtown with only two stops. The ticket was about 8 Euros round trip. We didn’t do a stitch of research before we left. We figured we’d find an old square, a beautiful train station and someplace to have breakfast. 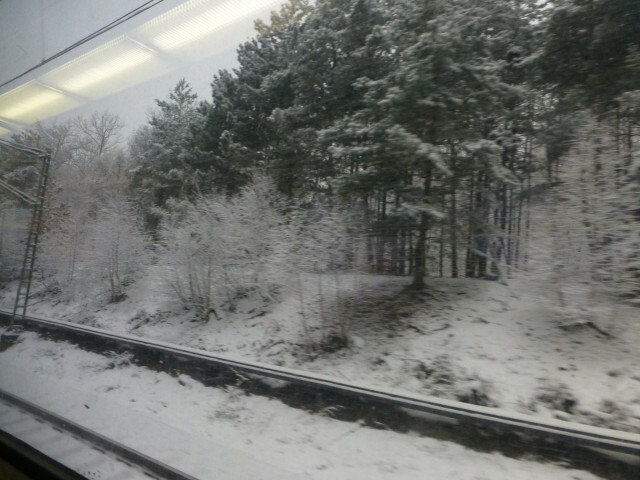 Snowy countryside view from the train. 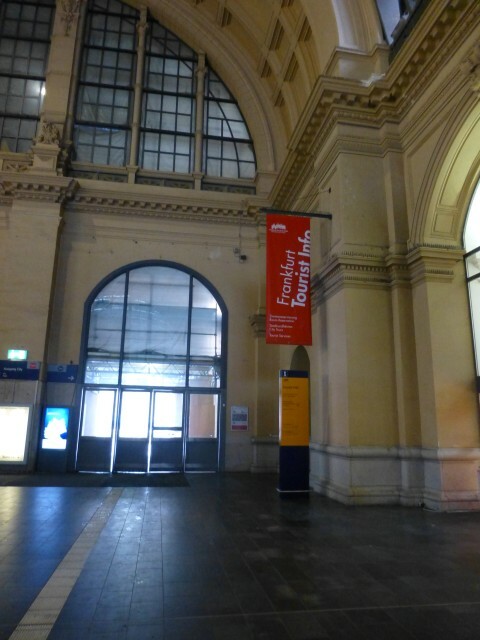 The train station was not as beautiful or ornate as I was expecting, but it got the job done. 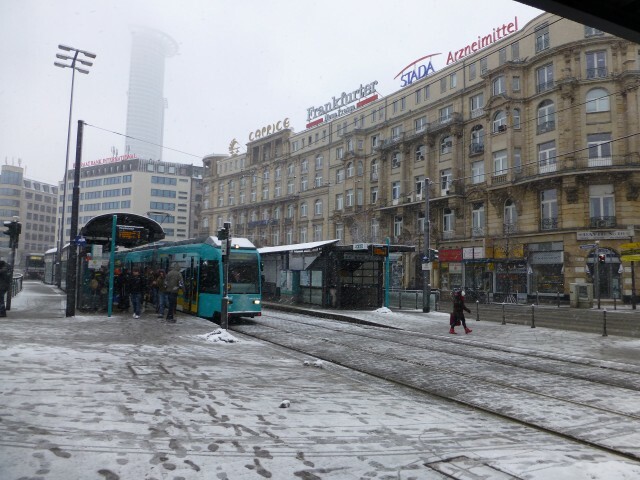 The street outside the main train station was snowy and at 08h00 was very dead. We watched the street car go by with what looked like a bunch of people heading off to work. No tourists. No locals heading to the market. 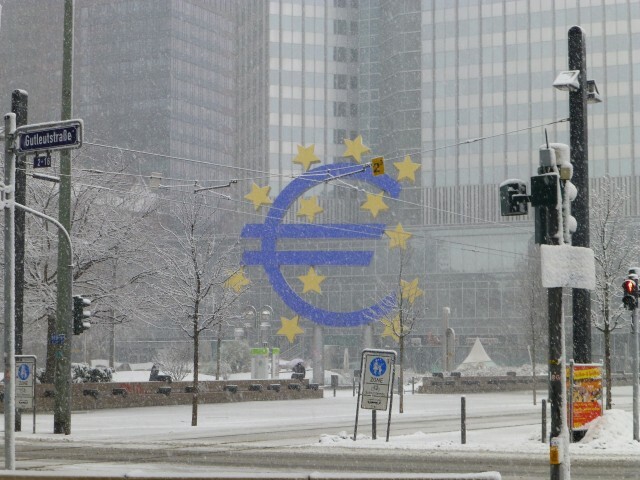 We wandered aimlessly around the area surrounding the Haupt Bahnhof and we stumbled on the European Central Bank, with the Euro Monument. 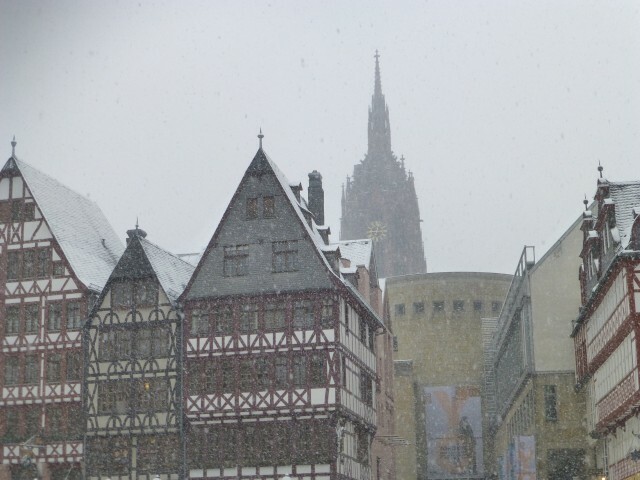 Old Frankfurt – with the Frankfurt Cathedral in the background. 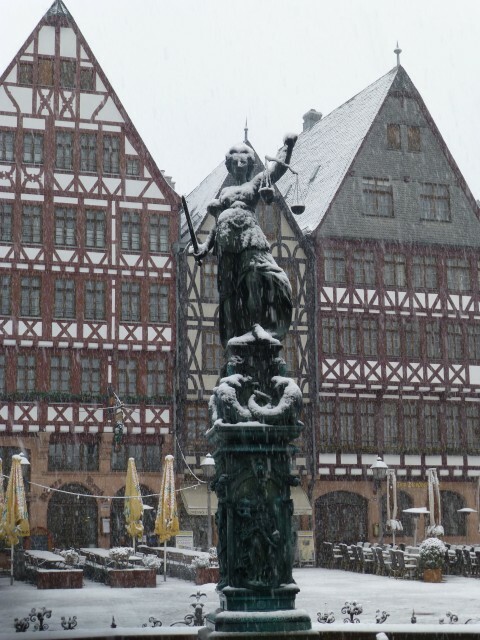 Fountain of Justice near the Frankfurt Cathedral. 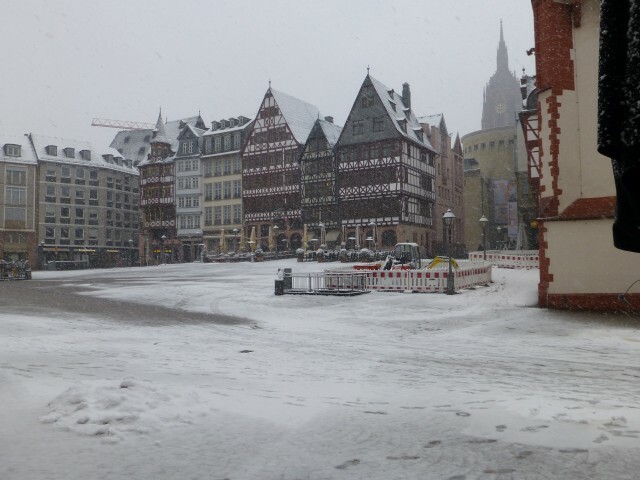 After walking around in the snow and the wind and the miserable winter weather in Germany, we decided to head back to the airport for a shower in the lounge, a quick meal and some duty free shopping. I found that my camera was a broken while we wandered around the old square. Good thing I discovered this now, at least I had the opportunity to hit duty free before we head off to Asia. 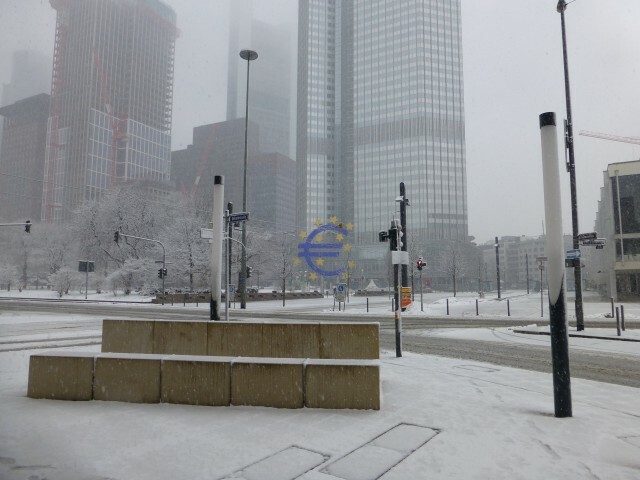 So, what did I think of Frankfurt? It wasn’t as bad as Dallas, but from what I could tell, there wasn’t much to write home about. We were there on a Sunday morning, so that might have been part of it. We couldn’t even get a bit to eat or a drop to drink as everything we came across was closed up tight. If I had a layover in Frankfurt again, I would definitely consider exploring the City, but would not do so if it was a Sunday morning. By Tim in Travel on May 7, 2013 .